We are a software development company based in Northern Ireland. Our team has a wide range of experience developing software for both the web and desktop use. We love to come up with innovative and functional solutions to client requirements - what can we do for you? 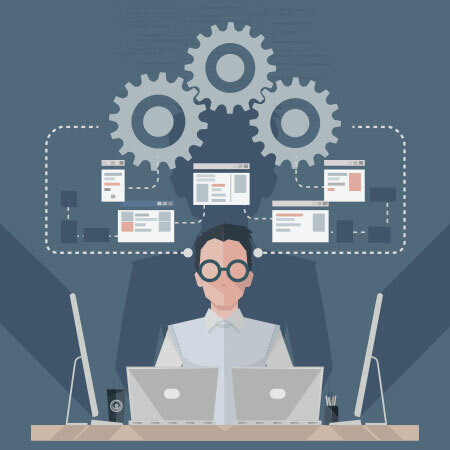 Using industry standard practices and frameworks in an iterative, agile workflow we develop software for both the web and desktop. We design and implement adaptive web experiences which are optimised for all devices, allowing a great user experience in any situation. Using highly scalable hosting solutions and cutting edge caching techniques we can ensure that your project is available, accessible and fast. We have a broad range of IT experience and can advise and implement both software and hardware solutions in a wide variety of situations. is a limited company registered in Northern Ireland. Registered number NI615811.